After a much needed rest, I woke up at 7am sharp, took a quick shower, ate breakfast, and headed out for the day. My plan was to head to Copacabana Beach on the bus. After walking around Rio Centro for around 3 miles, trying to find the bus station, I decided to hail a cab. It cost me around 30 real, which wasn’t as expensive as I had predicted, although Copacabana seemed a lot further away from the hotel, than I had previously thought. 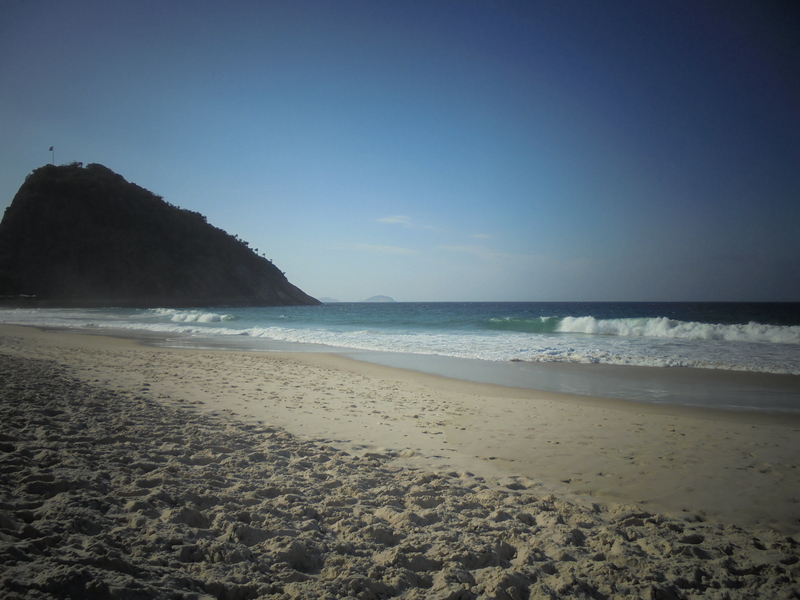 The beach was busy for June, which is officially Brazilian winter. People were everywhere. I could hear mixtures of French, Spanish and Portuguese, along with the odd American/Canadian accent. 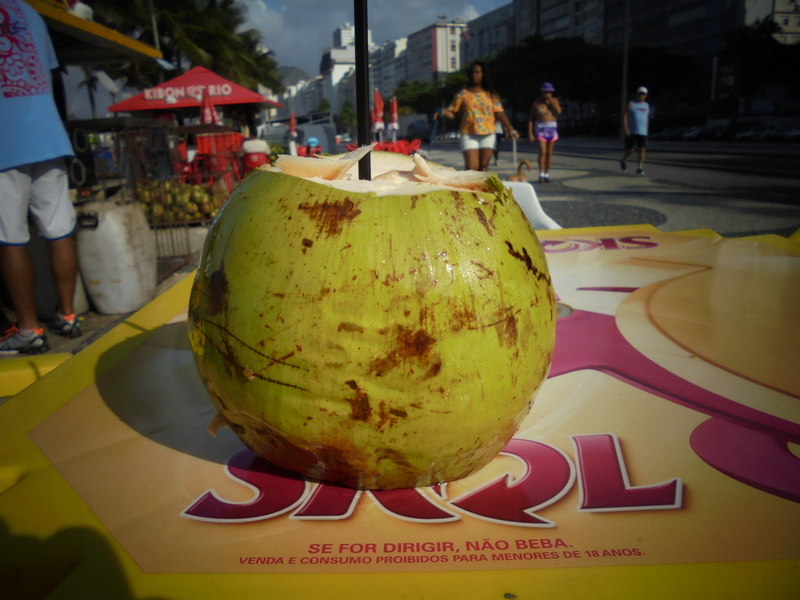 Several small wooden bars, selling soft drinks and Coco Verde (a Brazilian coconut drink), aligned the sidewalk, along the beach. I had been wanting to try one of those for a while, so I decided to stop and try one, and to my surprise it only cost me 5 real. I must say, they are amazing!